Whenever I stumble on a great post on a blog, I usually click around to see what else they have to read. And often, I use their search bar to locate specific resources that I am looking for. Now, I hope readers of my blog do similar: read more posts and/or search for something specific. So assuming my readers actually use the search bar (okay, I know lots do! ), perhaps I want to draw their attention to something specific on my blog. Something that might be exactly what they are looking for based off of their keywords. 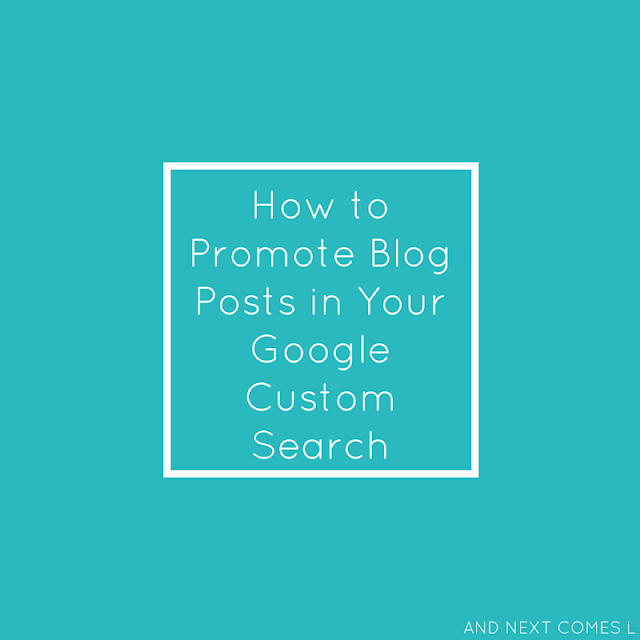 In other words, I promote specific blog posts in my blog's Google Custom Search based off of keywords that they enter. By promoting specific blog posts, it is my hope that I can convert the searcher into a newsletter subscriber or convince them to purchase a product of mine or even both. Basically, I set up my search bar to work harder for me and my blog, by promoting my blog's best assets. Setting up a Google Custom Search is really easy, if you haven't already done so. Just log into Google CSE with your Google account and follow the steps. 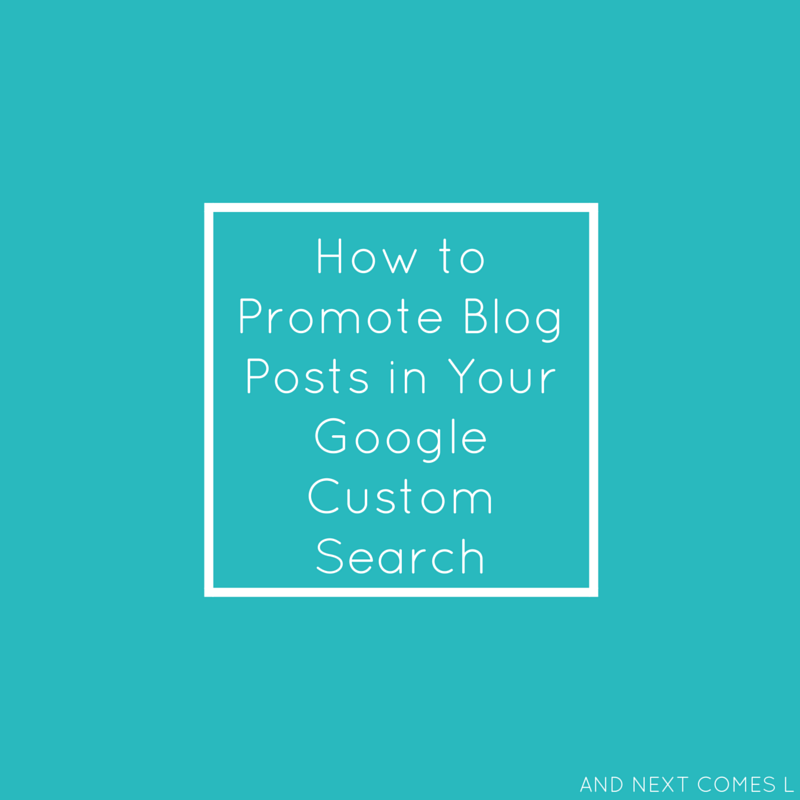 Once your Google Custom Search is built and installed onto your blog, it is easy to build promoted posts like the one pictured below. The promoted post is highlighted and shows up at the top of the search results. For this example, I typed in the keywords "fine motor." This keyword triggers the promotion of the book 99 Fine Motor Ideas for Ages 1 to 5. You can also set up multiple promotions for your custom search. I have one set up for my main blogging topics (hyperlexia, autism, quiet books, kids activities) and/or book topics. You can see the five current promotions below. To set up your own promotions, click "Search features" under "Edit search engine." Then click the "Promotions" tab. Turn the "Enable promotions" feature on and then click add. A box will pop-up for you to add your promotions. You will notice that you can even set specific start and end dates for certain promotions, which would be great when you have new products launching, sales or discounts for products, etc. Simply fill in the form below and click "Ok."
You can add as many or as little promotions as you'd like, but it's a really simple trick, isn't it? Looking for more blogging tips and tricks? Find more blogging resources here.